Industrialist and more famous as a politician, mayor of Birmingham and later on the national stage. Father to Austen and Neville Chamberlain. 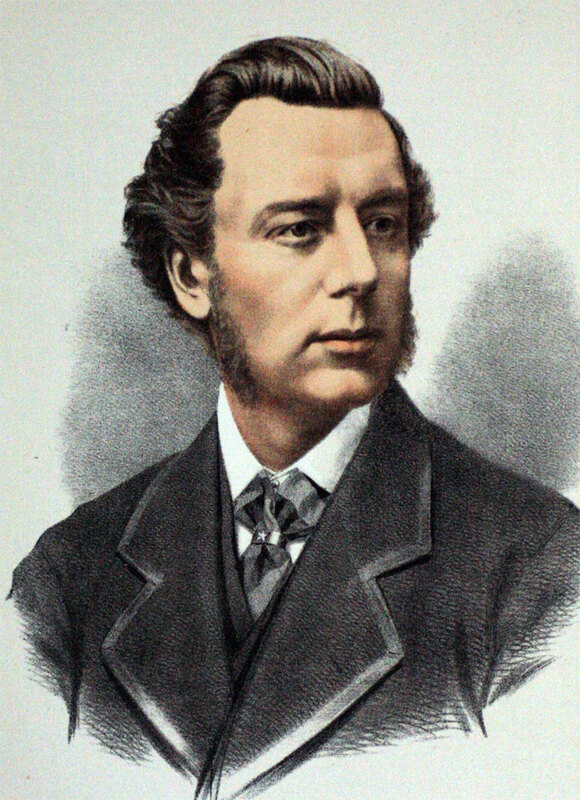 1836 July 8th Born the eldest son of Joseph Chamberlain, cordwainer and metal manufacturer, in Camberwell. After leaving school he was apprenticed to his father's business, initially making shoes but soon in bookkeeping, where the business was controlled. 1854 The senior Chamberlain had invested in the business of his brother-in-law John Sutton Nettlefold. He sent Joseph to join the business in Birmingham to look after his investment. A partnership was established Nettlefold and Chamberlain with the younger Chamberlain and his Nettlefold cousins sharing responsibilities to run the business in Birmingham . The younger Joseph Chamberlain took on the accounting, in which area he introduced many innovations, and later the marketing of the products; his cousin Joseph Henry Nettlefold  took charge of production. The business expanded overseas, forming agreements with other manufacturers about division of the markets. Chamberlain built links with key commercial interests in Birmingham, joining the board of the Midland Railway, and helped turn the private Lloyds bank in Birmingham into a public joint-stock company. From about 1869 Chamberlain took more interest in politics. 1876 Elected to Parliament as one of the members for Birmingham as a Liberal. 1880 President of the Board of Trade in Gladstone's second government, the start of a several decades at the top table of British government. 1895 Joined the coalition Unionist government as Secretary of State for the Colonies. 1906 Suffered a stroke but continued working for the next 7 years. 1914 Announced intention to retire at the next general election. Died at home 2 July 1914. Biography of Joseph Chamberlain, by Peter T. Marsh, ODNB. This page was last edited on 17 April 2015, at 09:59.